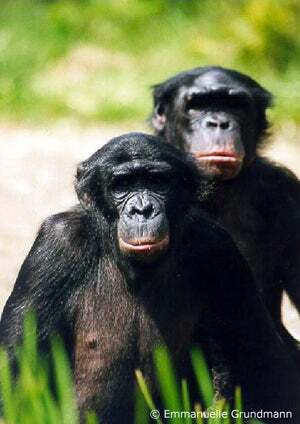 In chimpanzees, male-dominance is associated with physical violence, hunting, and meat consumption. By inference, the lack of male dominance and physical violence is often used to explain the relative absence of hunting and meat eating in bonobos. Our observations suggest that, in contrast to previous assumptions, these behaviors may persist in societies with different social relations.